Simplistic, modern and affordable living for modern travellers. 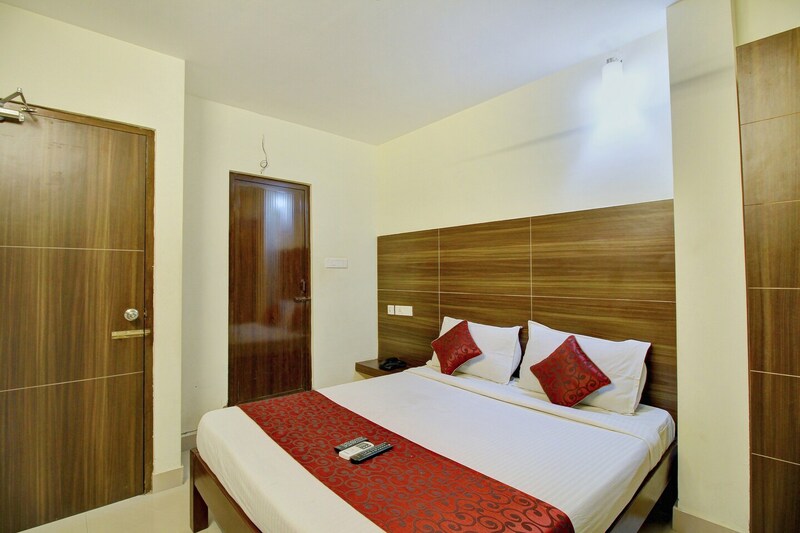 Hotel Amrita Inn offers modern living at an affordable price for various guests. The hotel is spacious. With comfort as the topmost priority, you can be assured of a pleasant stay. The rooms in this hotel are vibrant, bright and modern with various furnishings adding to the comfort and elegance of this place. The well-lit rooms with minimalistic and creative wall decor keep the room alive. The designer cushions add bursts of colour to the space, making it appealing for the guests. The residents can avail the facility of free Wi-Fi, laundry services, an elevator and card payment. Key attractions situated near the hotel are Sri Santhana Srinivasa Perumal Temple, Chennai Rail Museum and The Forum Vijaya Mall.